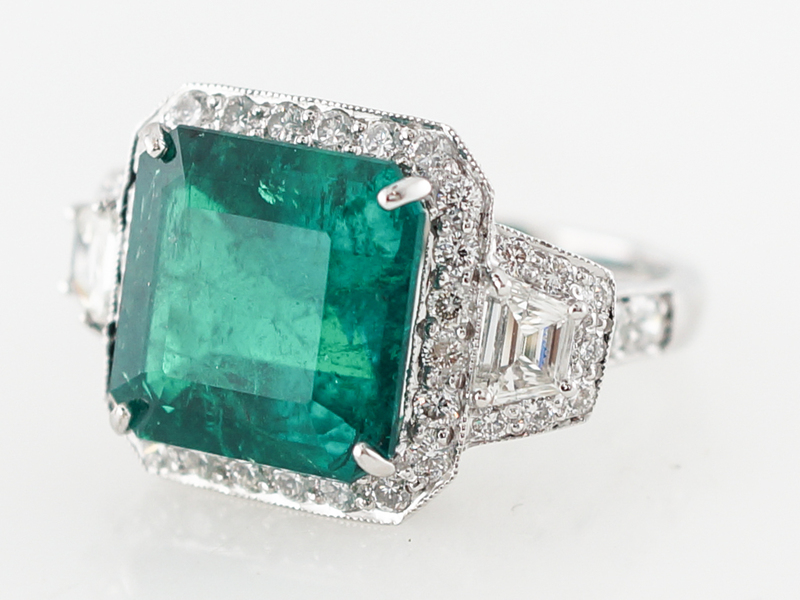 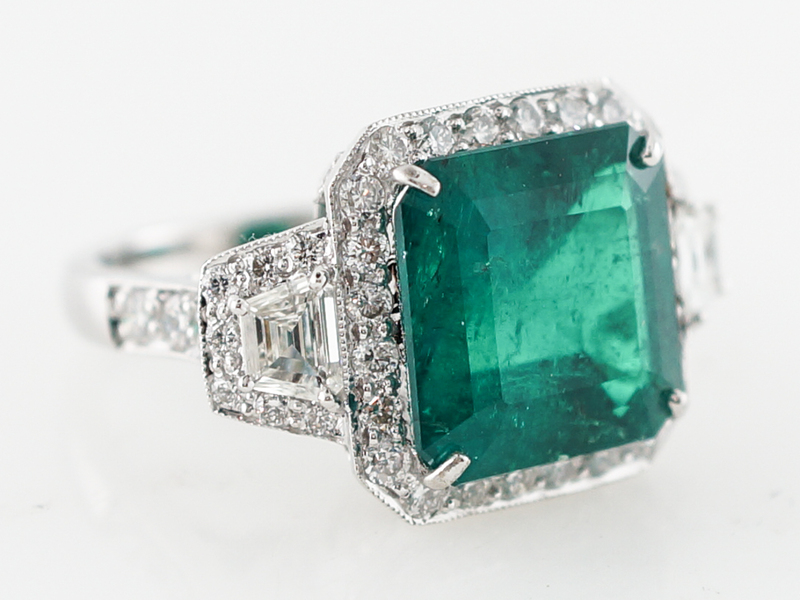 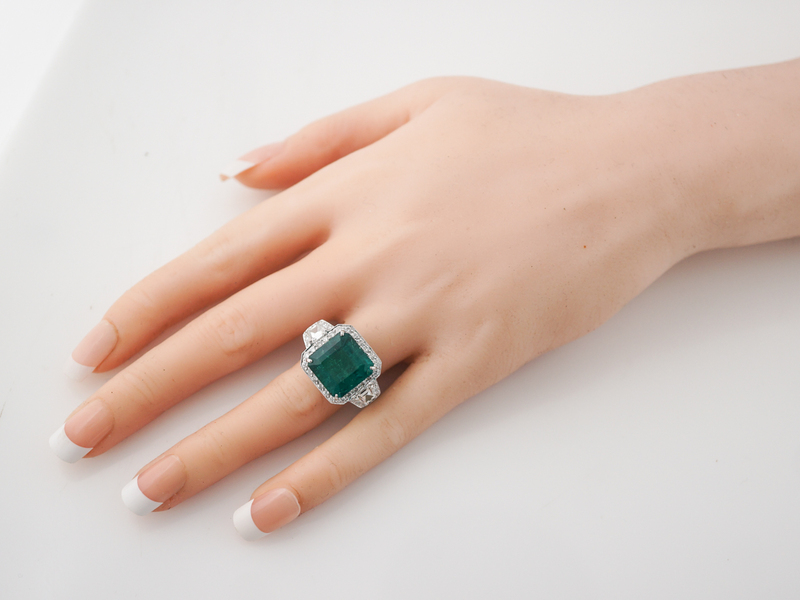 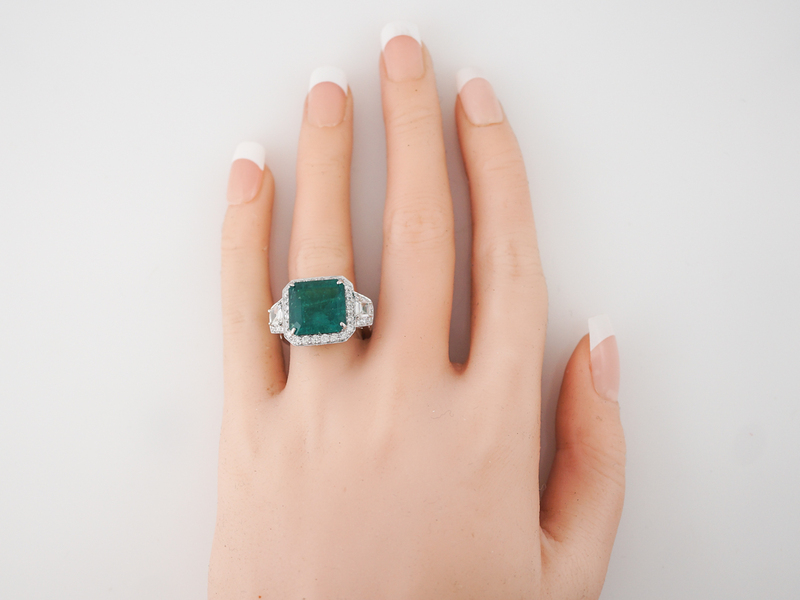 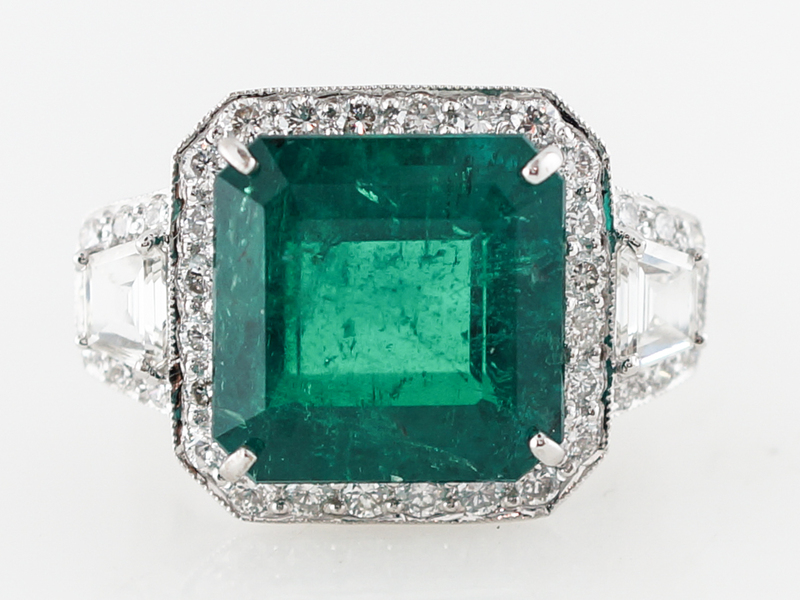 This sensational modern cocktail ring features a 7.28 carat rectangular step cut emerald. 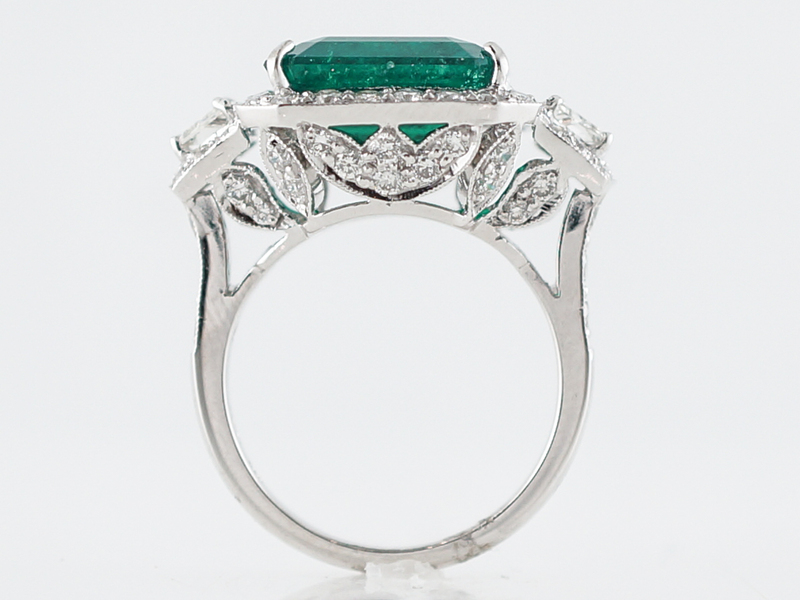 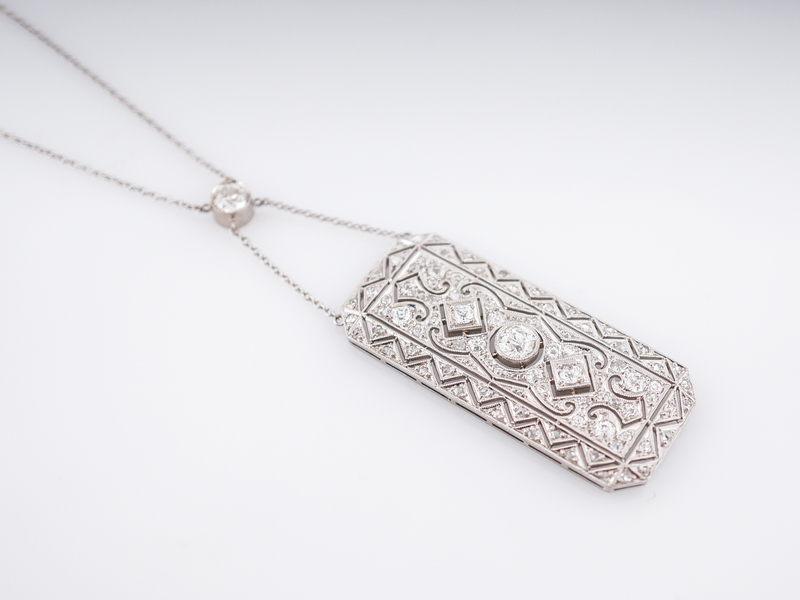 The geometric design evokes a late art deco feel with a gracefulness not often seen in modern constructions. 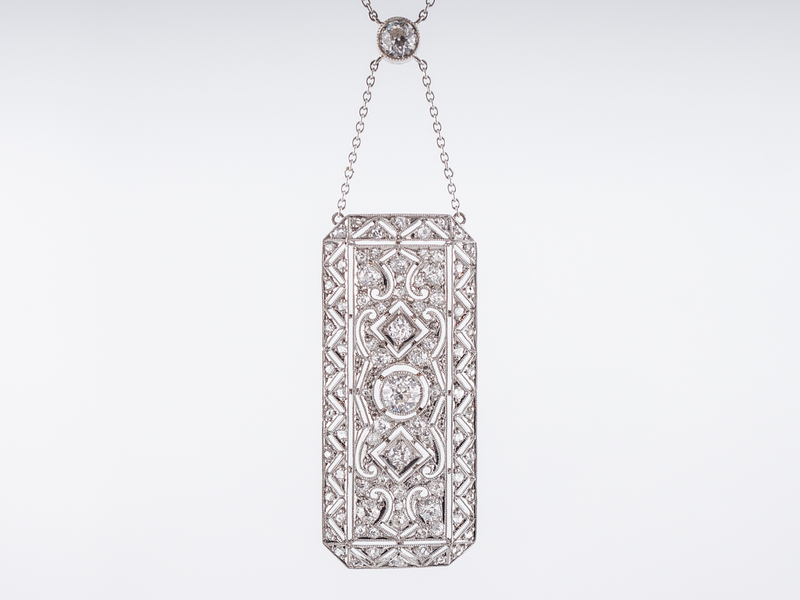 The center stone is accented by a border of diamonds that flares to the side with trapezoid cut diamonds tying in the geometric look. 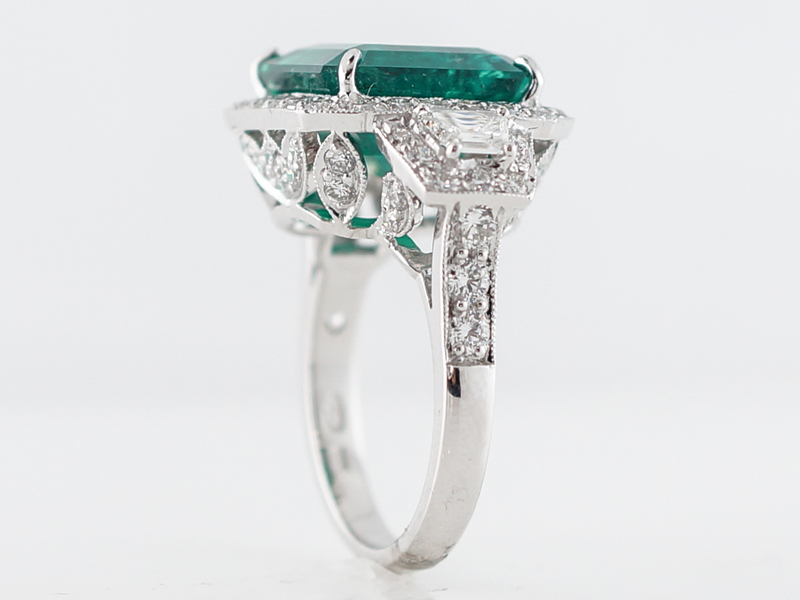 Additionally, diamonds are set in the undercarriage, providing an impressive bit of flash from every angle. 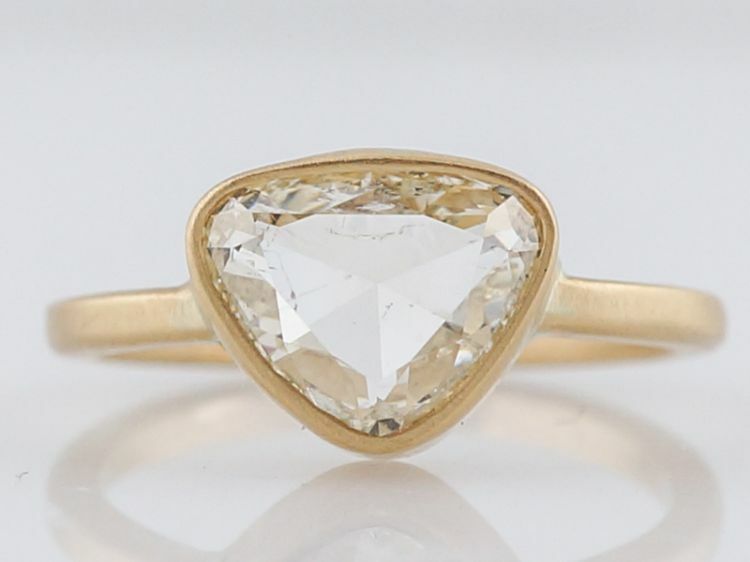 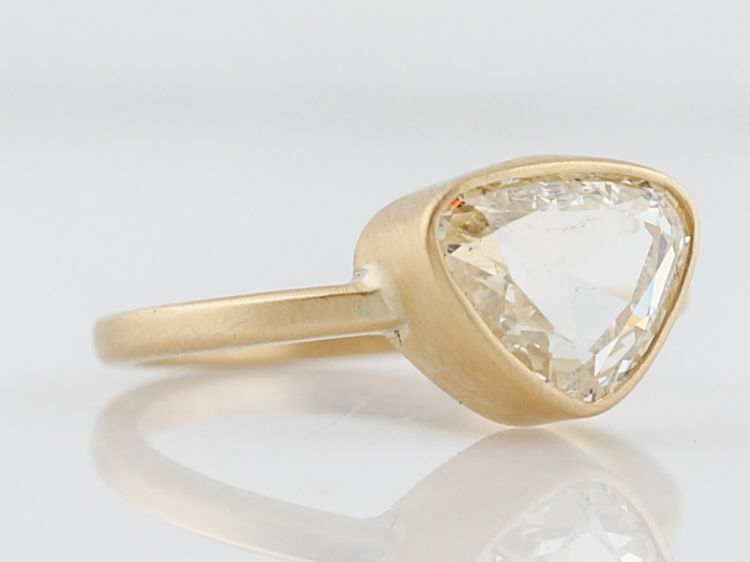 This ring is surely a show stopper and is on it’s way to becoming a future classic!